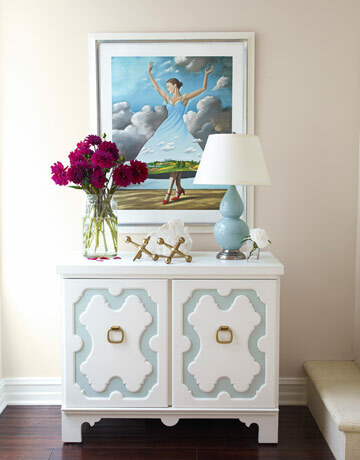 I love everything about the West Hollywood home featured on the cover of May's House Beautiful. 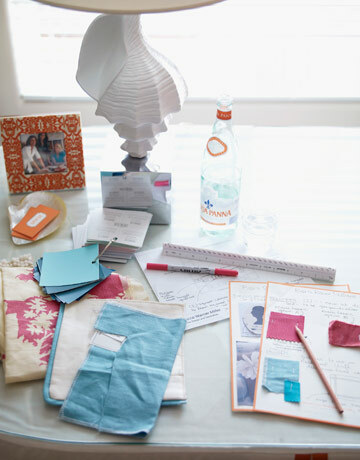 Although it was meticulously designed by Melissa Warner, the only thing consistent about the room is its inconsistency. The fabrics, styles of furniture, colors, and textures vary from one piece of furniture to the next. 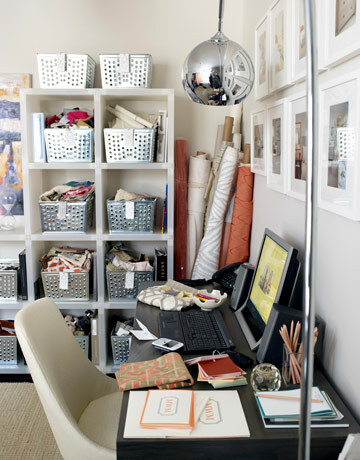 It's not one of those matchy-matchy rooms we see time and time again in most magazines. 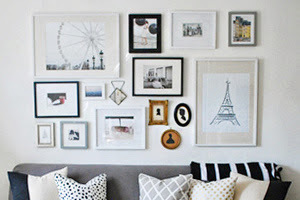 In this home, I think it looks as though the pieces were bought simply because they are each, individually beautiful. And, as fate would have it, when they were all placed in the space together, naturally, they created something even more beautiful: a light, feminine, happy home. At least, I know I'd be happy as a clam kicking back there on a Sunday night to watch another BBC period piece, mini-series (which is exactly what I did last night. 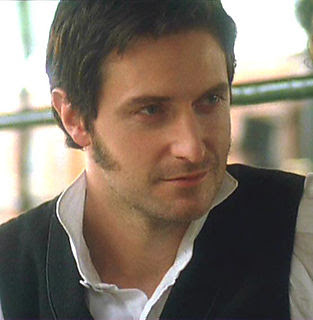 Finally saw Elizabeth Gaskell's North & South.... mmm, hello Mr. Thornton). 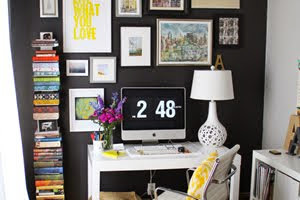 Love those dining room chairs and that two-toned black and white dresser in the bedroom. 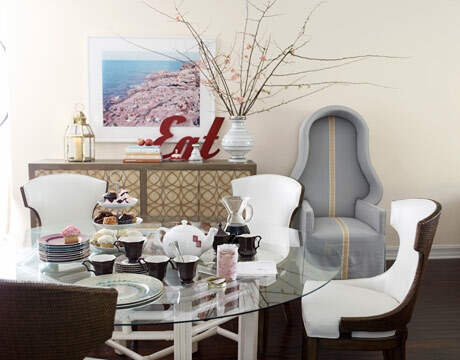 fab dining set, and the bedroom's perfect! 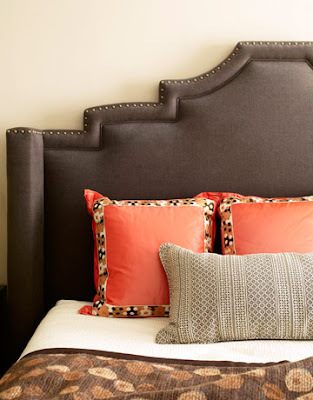 I love the chocolate brown headboard in the last photo! Fabulous, thanks for sharing! I am obsessed with that couch, in fact...I might copy it for our new living room...And while I too was like YIZAHH!!! When I first saw this room, the more I look at it the more I am like, is this maybe TOO Domino? I hate being anti-trend just for the sake of being different, because I do love the look and aesthetic no matter how over saturated it becomes, but I feel a little like this might be following too closely to Domino formula. 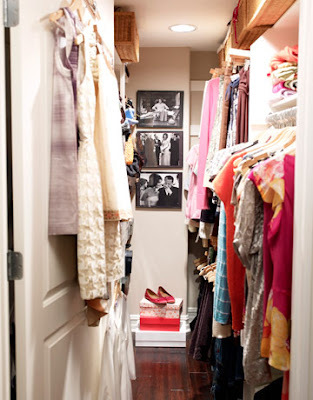 It looks great, and the studio and closet are amazing!! Love all the fun colors combined in the first room! I want that bedroom. NOW! This is officially my dream house! Everything is beautiful and perfectly arranged. Thank you for sharing this!